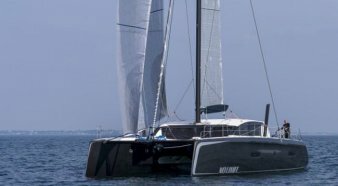 A catamaran is a yacht that has two hulls, parallel to each other. This twin hull configuration create quite wide yachts in relationship to their length. 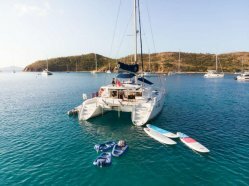 Catamarans have expansive wide decks that allow everyone to relax together on their charter and share the same views all of the time. 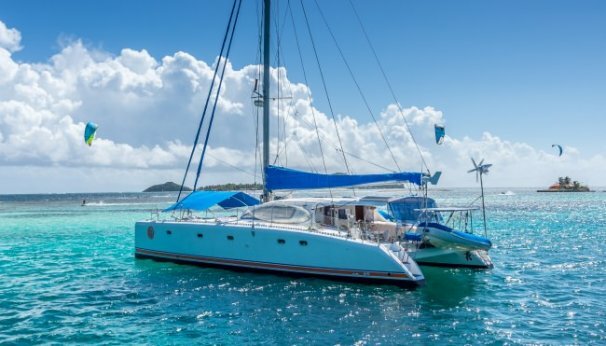 A traditional sailing monohull yacht offers the exhilaration of the sport side of sailing, while providing all of the romance and adventure of a traditional yacht. For these yachts the ”getting there” is as important as the destination. MotorYachts are ideal for the discerning client looking for more formal service from a larger crew, as well as the ability to move quicker between the islands. 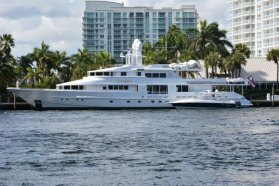 These yachts have luxurious accommodations, the maximum number of water toys. 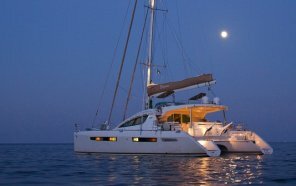 Our team of charter concierges have over 20 years experience in the yacht charter industry…as owners, captains, and crew. With offices throughout the U.S and in the Virgin Islands, we provide 24/7 access to all of our clients. Guests are accommodated in 3 well appointed double cabins all with ensuite bathrooms.